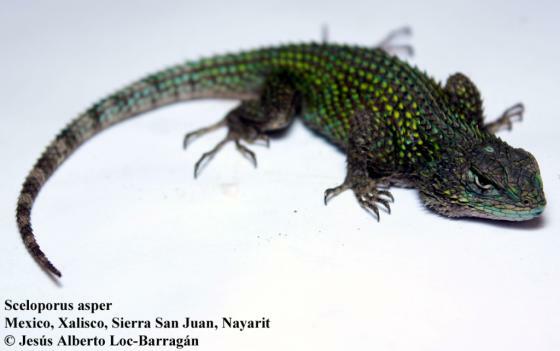 Can you confirm these amateur observations of Sceloporus asper? obscurus: Type Locality: Tepic, Nayarit, Mexico. Type locality: La Cumbre de los Arrastrados, Jalisco. Etymology Named after Latin “asper(a)” = rough, referring to the rough-scaled appearance of the species. The Latin obscurus, "dark," or "indistinct," refers to the bluish steel dorsal color, without collar or other markings.